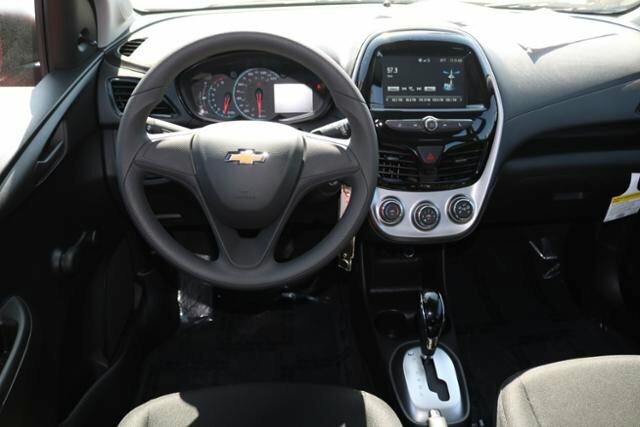 2018 Chevrolet Spark for sale serving serving Los Angeles, Pasadena, Glendale & Burbank, CA KL8CB6SA4JC474445 - Universal Mitsubishi. CARFAX One-Owner. Clean CARFAX. Red 2018 Chevrolet Spark LS FWD CVT 1.4L DOHC Odometer is 15242 miles below market average! 30/38 City/Highway MPG Our Haggle Free VALUE pricing is extremely aggressive. Stop by today for a test drive or call for more info! I'd like to possibly purchase this 2018 Chevrolet Spark. Is this 2018 Chevrolet Spark still available?